A few years ago, when the economy began to decline, the only reason I didn’t lose my job is because my primary occupation is parenting my seven-year-old-with some unpublished fiction-writing on the side. No risk of getting fired from either of those jobs. My husband, however, a salesman in the heavy equipment industry, saw his commissions, our primary income, begin to shrink. I looked for a temporary office job to increase our income, but in this recession, none were available. We certainly aren’t the only ones struggling. Similar stories feed our daily news: lifetime employees laid off to cut budgets; new graduates flooding an already sparse job market. Finding traditional employment is uncertain in these times, and some job-seekers have begun to choose alternatives that are even riskier. According to U.S. News & World Report, certain reductions in startup costs caused by the declining economy may be beneficial to entrepreneurs. Employees may be willing to work for lower salaries. Suppliers may offer discounts. Rents may be cheaper. The disadvantages, of course, are that every risk associated with starting a business is intensified in a bad economy. Half of all small businesses fail within the first five years, according to the U.S. Small Business Administration. Entrepreneurs must work longer hours, and sometimes don’t see a profit for many months, even years. 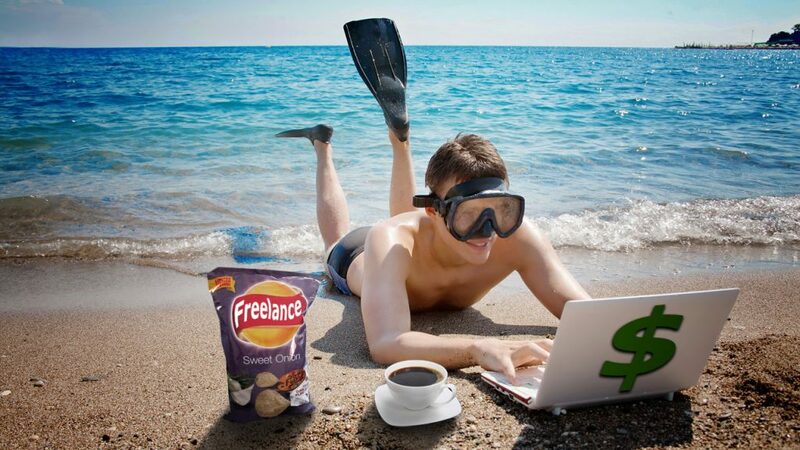 Freelancing, or working as an independent contractor, is an option for professionals who prefer the flexibility of creating their own schedules and work environments-and who can accommodate the instability of irregular assignments, intermittent payments, and complete lack of company-provided benefits. Some unemployed professionals are taking matters into their own hands and working for independent hire. According to The New York Times, businesses who have had to lay off employees are turning to more affordable freelancers to complete projects. Elance.com, a website where freelance professionals can connect with businesses offering contracts, reported a 63% increase in the number of contract jobs posted between 2007 and 2008. If businesses are offering more freelance projects, then a self-employed professional could make a good living without attaching to one company. However, freelancers face fierce competition for contracts. Also according to The New York Times, when businesses are forced to make budget cuts, they will hold on to full-time staff and reduce freelance contracts first. Two-year institutions, community colleges and technical colleges, have also seen increased enrollments. The lower cost of these schools, together with the types of training they offer-marketable skills that are usually still in demand during a recession, like nursing-attract laid-off workers looking for a new career. Click here to find information about doing business in Wyoming. Choosing school to avoid unemployment may seem like putting off the inevitable, but if the economy were to improve, it may be worth emerging two years later with a marketable degree. Of course, borrowing money to possibly improve one’s employability is an uncertain investment. And, as with every other business, colleges face budget cuts and may have to cut programs and scholarships. My husband and I chose not one of these alternatives, but collectively all three. He left his sales job to return to school and switch to a career he has long wanted to enter: golf course management. The risk paid off for him. He found a job within a month of completing his new degree. I began writing web content in addition to fiction, and though I don’t have an office or a business plan or employees, I consider myself to have started a small business with my freelance writing. I’m no longer writing just for creativity’s sake, but for financial gain. These choices are risky, but it’s because of the risk that they are attractive. Risking financial security at a time when almost everyone is risking financial security seems not as desperate or terrifying-or lonely. The bottom line? For those who have harbored a dream of owning their own business, working for themselves, or going back to school, now is the time to go for it. However, if you are unemployed and considering one of these alternatives to finding another job, make sure you’re not just playing a “beat the economy” game, but choosing to realizing a dream for which you may otherwise have never given yourself permission to pursue.